It is known that Samsung is holding an event on October 11th where the company is expected to launch a new Galaxy smartphone with four rear cameras. The new Galaxy smartphones will be in the company’s A-series which might include the Galaxy A9 (Star / Pro). 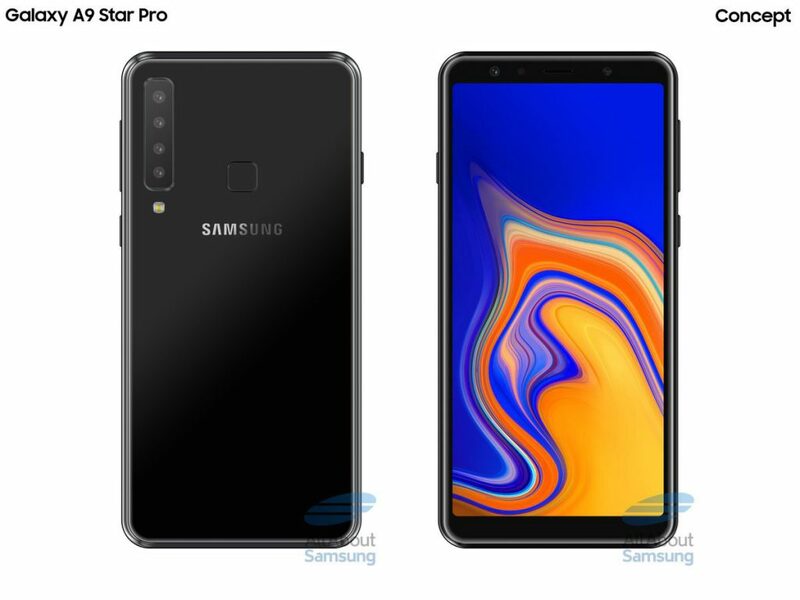 Going by the rumors, the Galaxy A9 (Star / Pro) will likely carry the same A7 (2018) design language but with quadruple cameras on the back. It will have the fingerprint sensor on the back instead of on the side. As for the optics, among the four cameras; it will have an 8MP wide-angle camera with 120 ° FOV, a 24MP main camera, a 10MP, and 5MP zoom sensor, but among of them would work as a depth sensor. It will have a 24 MP Sony IMX576 front camera. That’s a lot of cameras for a smartphone and hence it sports a large 6.28-inches with a Super AMOLED FullHD + display. It is expected to be powered by the Qualcomm Snapdragon 660 Octa-Core processor with a 3720 mAh battery. Since the launch is not too far, we don’t wait to know much longer to know more details, stay tuned.